I’ve been feeling orange today! 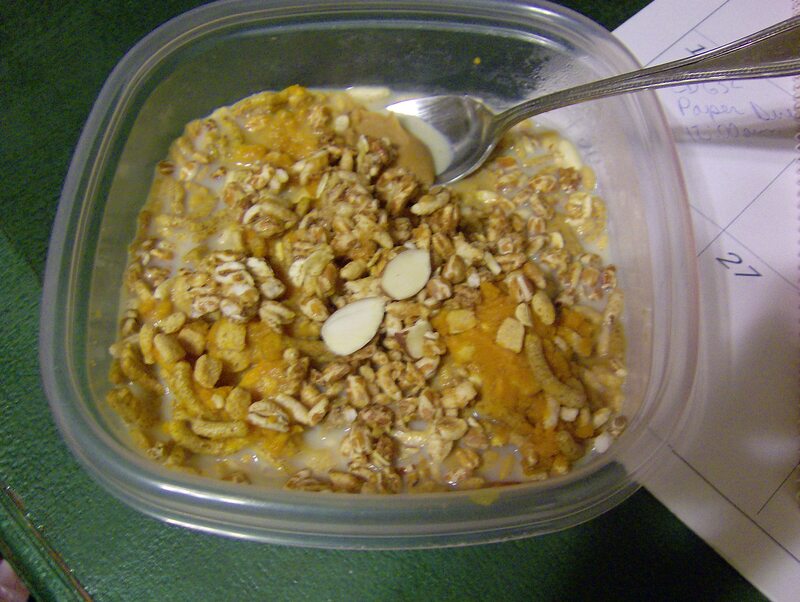 I woke up this morning and made the most delicious bowl of pumpkin pie oats while I did my work. 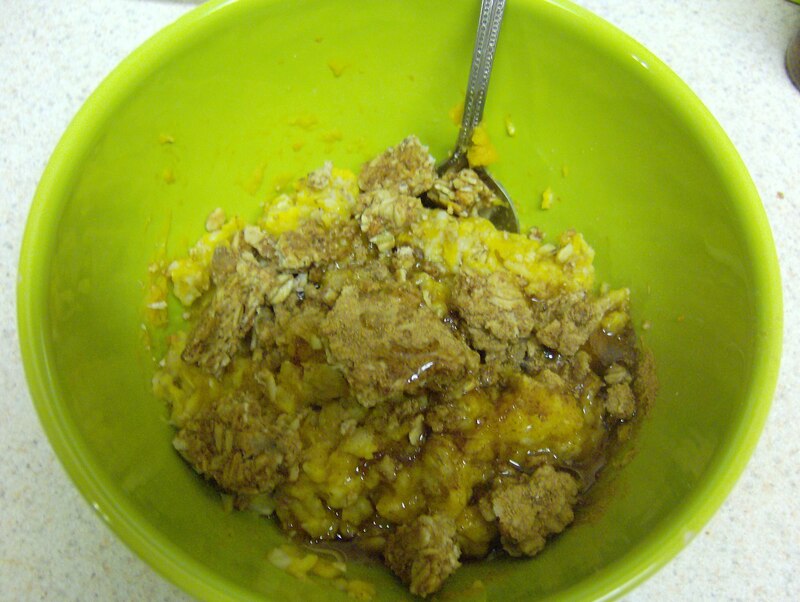 This was 1/3C oats, 1/3C pumpkin puree, half a Kashi pumpkin spice crunchy bar, and a big dash of pumpkin pie spice. Tasty tasty! 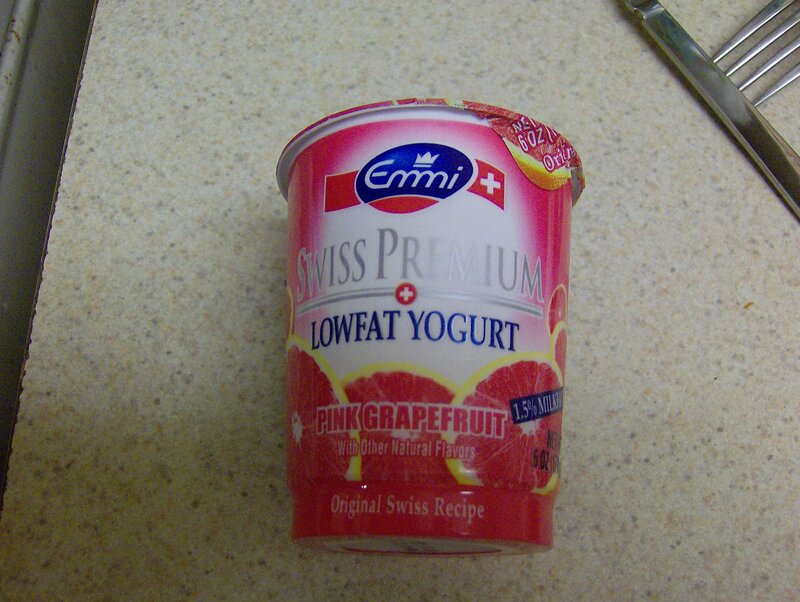 alongside my new favorite yogurt. This was stuff was amazing! 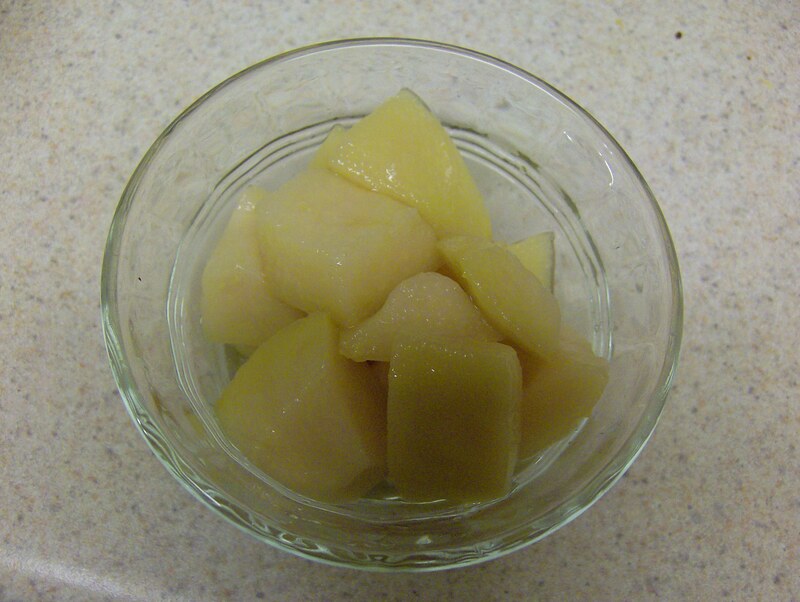 The flavor and texture were wonderful and there were real pieces of grapefruit in it!!! I will definitely be buying this brand again. 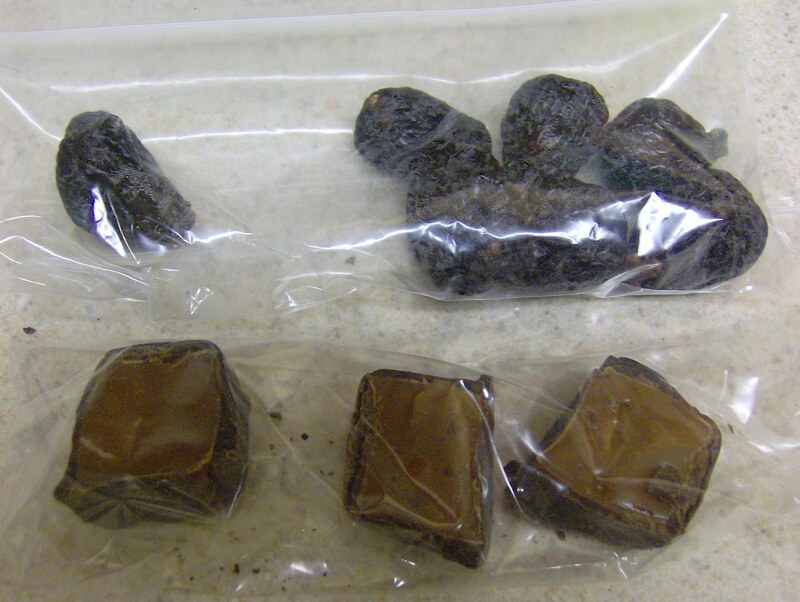 On the way home from afterschool I snacked on these figs and half a TJ’s dark chocolate caramel (I threw the other one away, too sticky). 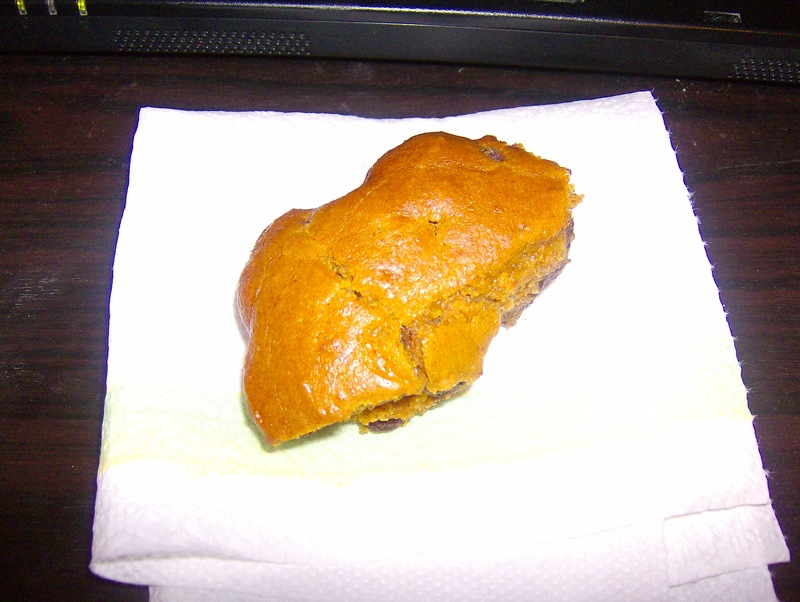 And once I finally got home it was time for leftovers and……..more pumpkin! 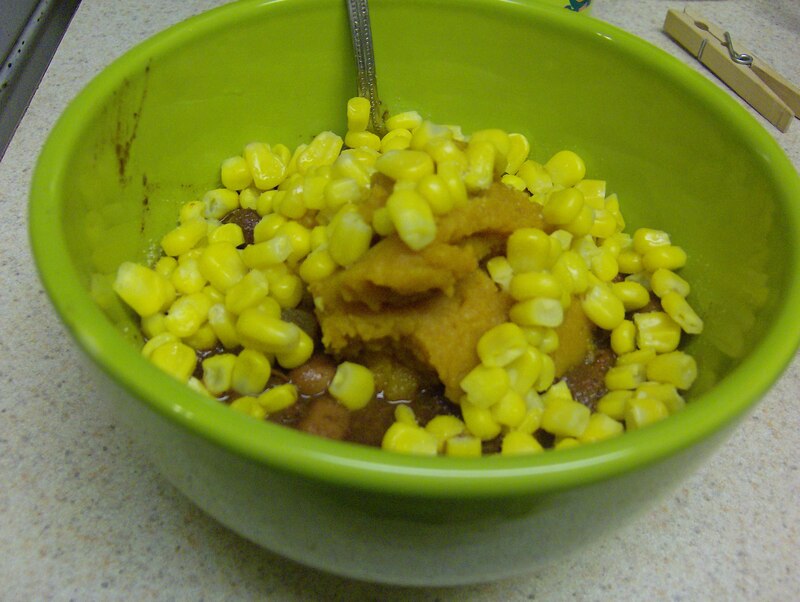 I topped my last bowl of chili with the leftover pumpkin puree and some thawed corn. Yummy; a much better revision that yesterday. I also cracked open this can of guava! 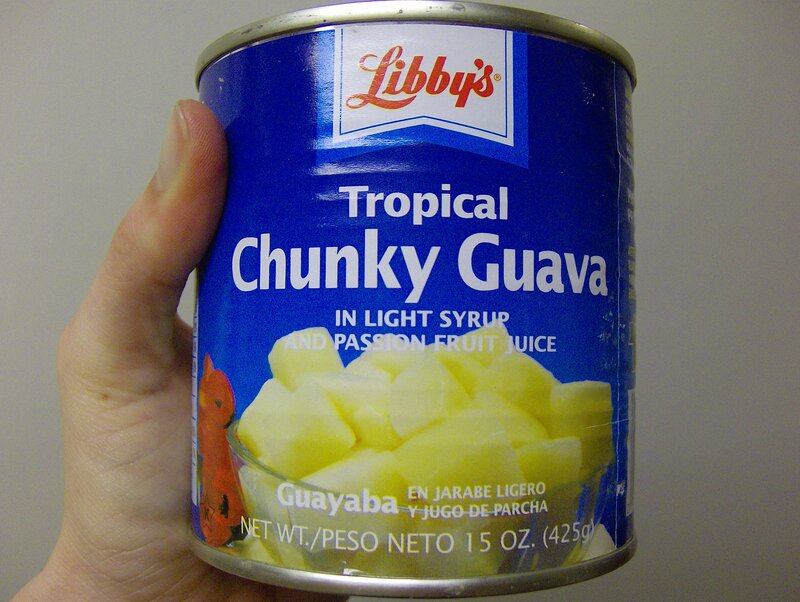 I usually don’t do canned fruit with syrup but for guava I was willing to compromise. In order to avoid turning into a pumpkin, I need to head to the gym. My stomach feels funny still though, so I’m going to curl up in front of our newly fixed cable! Tomorrow is one month until X-mas (and my first year anniversary, and a trip to Miami Beach), what a great time to set some goals! What goals do you have before the new year? 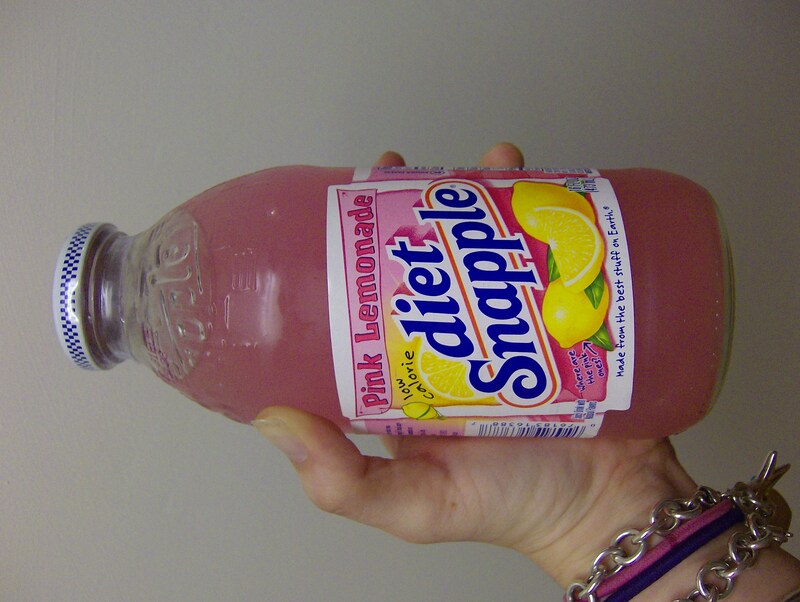 and a Snapple Diet Pink Lemonade (how exciting is pink lemonade?!). 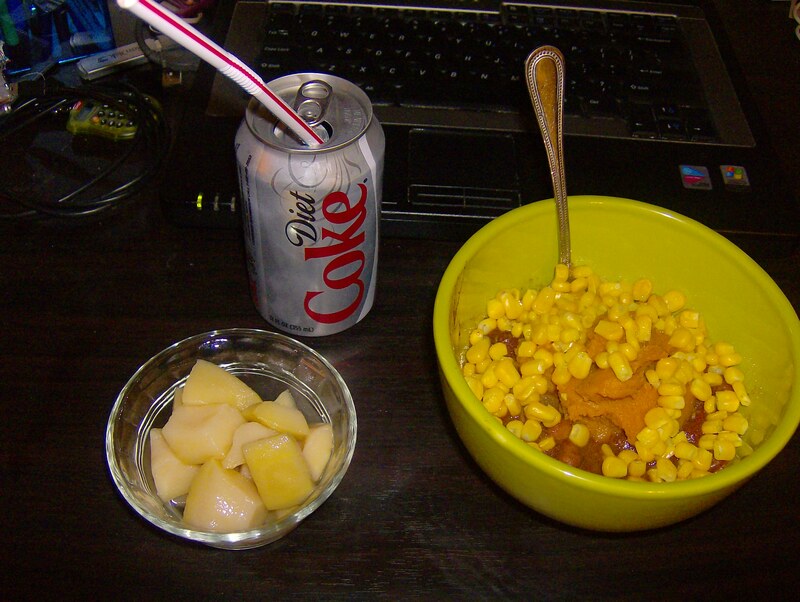 I stayed at school doing a hellish session of afterschool, but came home to find that A cooked dinner! 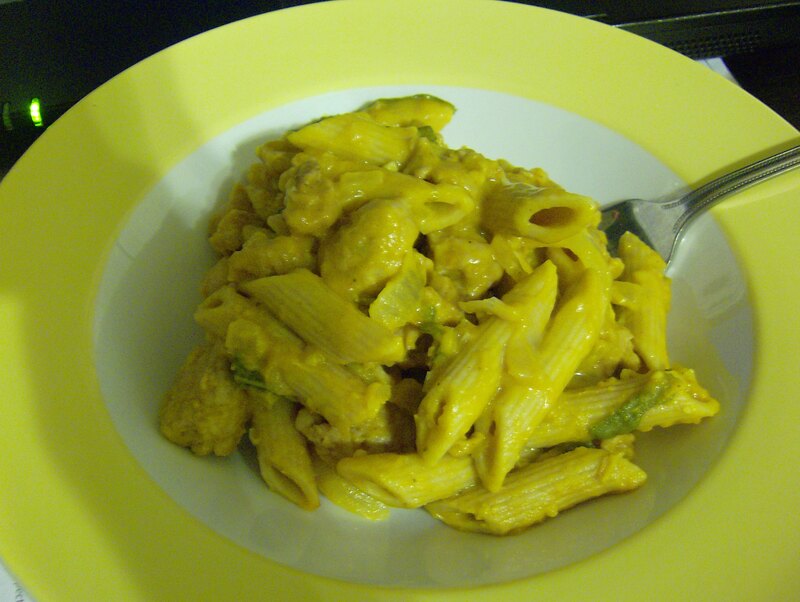 He made Rachael Ray’s Pennywise Pumpkin Pasta (cookbook recipe, sorry). He did a very good job! For accountability, I should also add that I ate so many unphotographed bites when I got home that it basically equals a second portion. A was feeling sad, his job is rough too, so to show my dinner appreciation I pushed my work aside and we headed to the movies! We saw W, which I would not recommend. 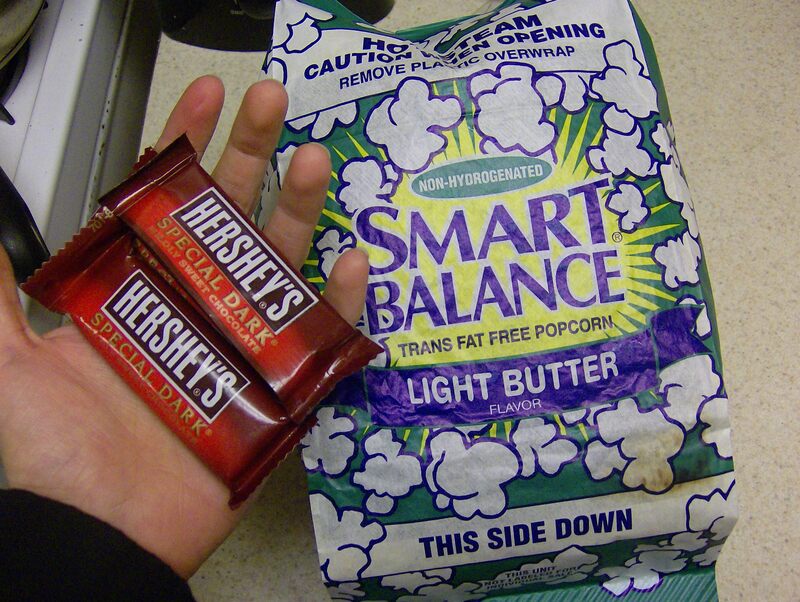 We packed our own (slightly) healthier snacks – a bag of Smart Balance popcorn and a serving of Hershey’s dark chocolate (3 fun sized bars). I ate about half of the candy and almost all of the popcorn. I have a TON to do when I wake up now so I’ve got to jump into bed, don’t let the bedbugs bite! 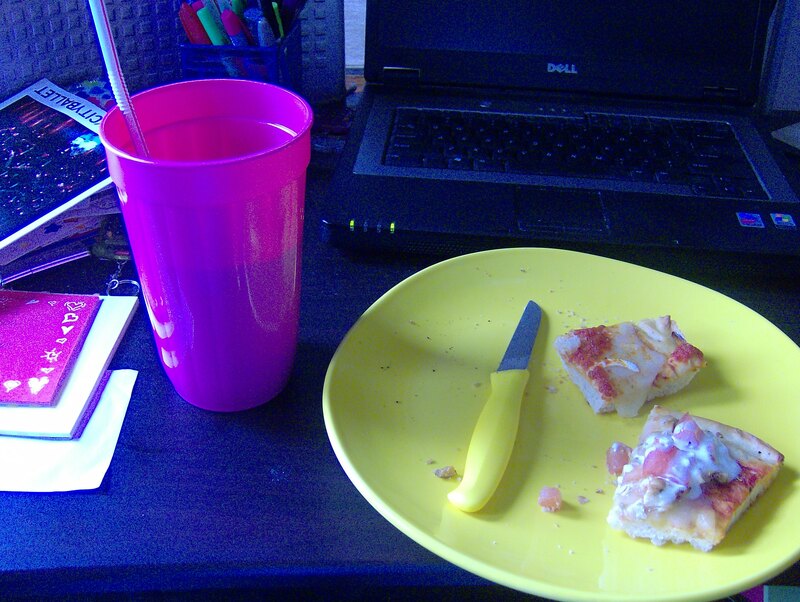 I woke up at 5:30 this morning to finish some work for school which means I had time for breakfast at home. 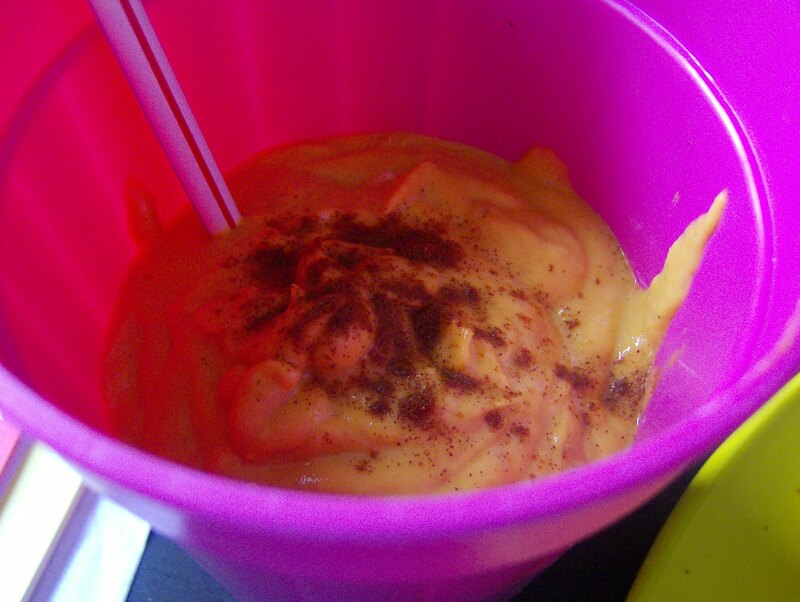 My leftover pumpkin (1/2) mixed with Kashi Go Lean (~3/4C), topped with Go Lean Crunch (~1/2C), skim milk (~1/2) and a 1/2 teaspoon of natural peanut butter. The peanut butter and pumpkin combination was wonderful; I’m surprised Lara doesn’t have this as a bar combo. I am doing tutoring after school today so I won’t be home until 6pm, earliest. We are making a fall-ish dinner and if my foot’s up for another walk I’m hoping to go to a Pilates class. Have a great 4 day week all! 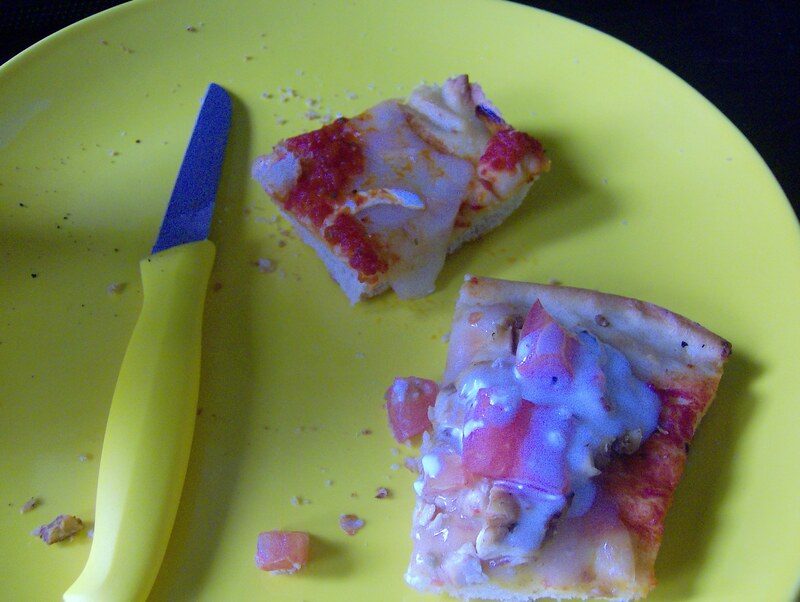 A got home with pizza (Pino’s, right down the street, is truly fantastic, and was his brother’s last request before he heads home today) and was nice enough to share with me! I got a square each of Sicilian and Chicken Tomato. Along side a homemade Pumpkin Shake! I had out the blended because I made A a Guinness Milkshake so it seemed like a good time for a seasonal favorite. FYI – Guinness Milkshake = Guinness and vanilla ice cream in a blender; very good if you like dark beer. 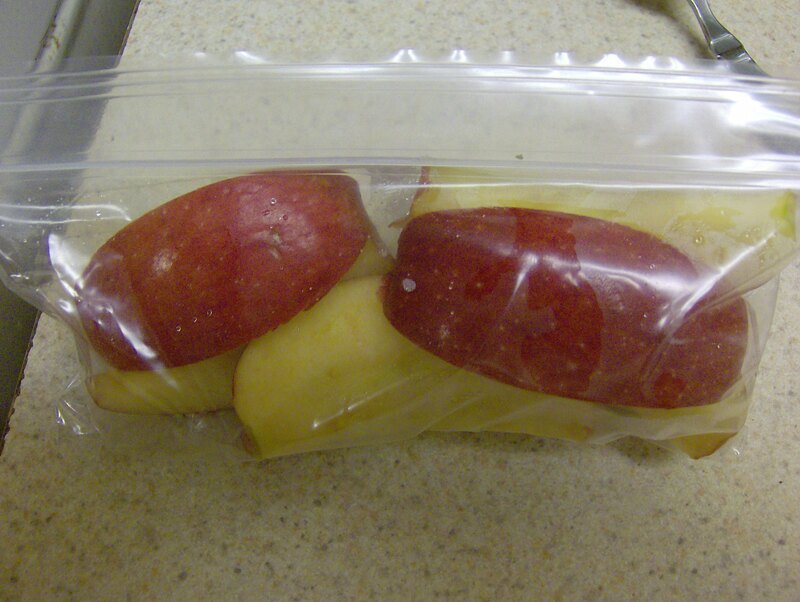 When I worked at the bar on campus in college there was a regular who invented them. Mine was actually more of a smoothie. Topped with a little cinnamon. 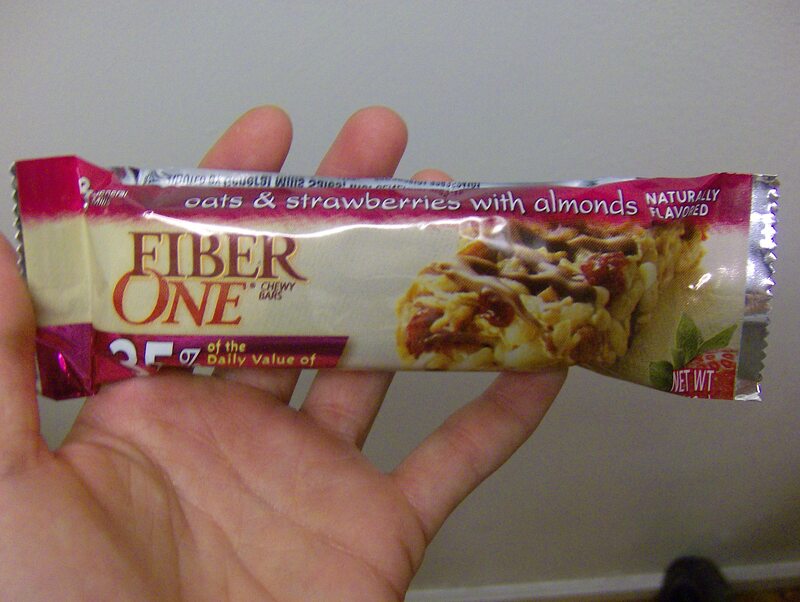 This came to 350 calories, but was far too big and I couldn’t finish it all. You could definitely halve the recipe. A’s brother is leaving around 3pm and I have more schoolwork to do and a gym class I’d like to go to at 5. We are eating leftovers so hopefully I should get to watch some tv and get to bed early today. Happy pumpkin picking folks! A New Favorite « Eatventures on Are You Green With Envy?